FOX today unveiled its fall season premiere dates. 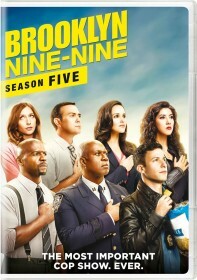 Brooklyn Nine-Nine will return for its third season on Sunday, September 27. Brookyln Nine-Nine is staying in its Sunday 8:30/7:30c slot this season. FOX's Sunday night line-up is unchanged from the previous season with Bob's Burgers, The Simpsons, Brooklyn Nine-Nine, Family and The Last Man on Earth.